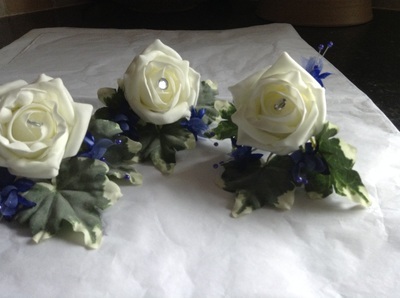 TWS Special Offer - free groomsmen's buttonholes! 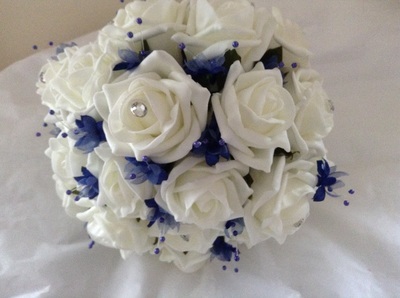 Jackie creates stunning floral arrangements for weddings throughout the Forest of Dean and the surrounding region. 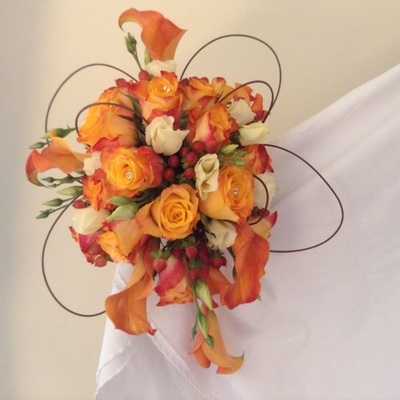 Every bouquet, buttonhole, decoration and any other flowery item that you select will be tailored to your preferences and wedding colour scheme - Jessabel Flowers can produce a variety of compositions to suit a variety of budgets. With a huge array of flowers at her fingertips, Jackie can design decorations in a plethora of different styles, from the traditional roses and lilies to more unusual plants like thistles and Gypsophila (Baby's Breath) in classic and modern arrangements. 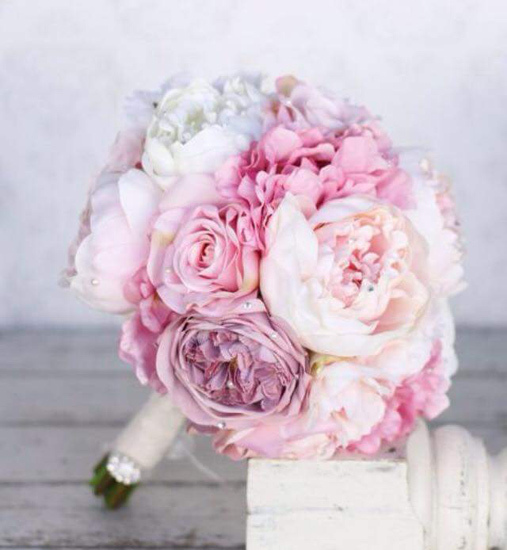 So book a no-obligation consultation to find out if Jessabel Flowers is the right florist for your big day. 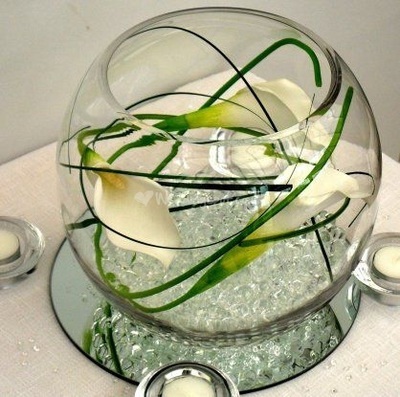 Although Jessabel Flowers began trading only six years ago, Jackie can boast over 20 years' experience creating gorgeous floral arrangements for weddings and events. Jackie prides herself on offering a highly personal service, taking your wedding theme, colour scheme and budget into account when designing. Flowers are sourced from a variety of worldwide growers in order to ensure that only blooms of the highest quality will be found in your bouquet. 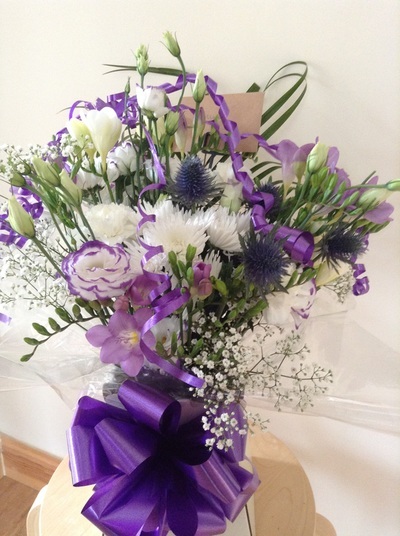 From simple bouquets using just two types of flowers to more detailed arrangements containing several flowers in many beautiful colours - Jackie will listen to your ideas to create a completely bespoke design. 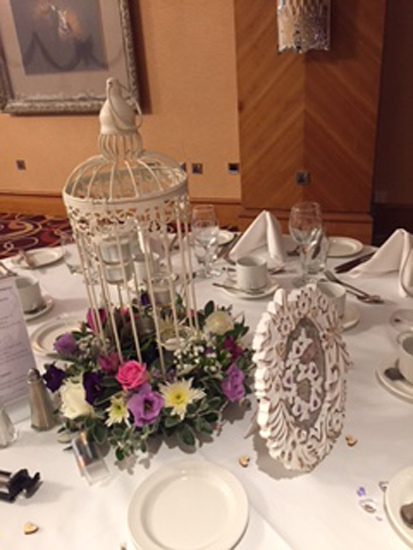 Have your wedding colour scheme run throughout all your floral decorations, including centrepieces, cake decorations, buttonholes etc. Elegant Lilies combine with bright Gerberas and other smaller flowers to create a dramatic display full of colour. Soft Ranunculus set against rustic Thistles and delicate Gypsophila results in a bouquet which looks as though it's been picked from a cottage garden. 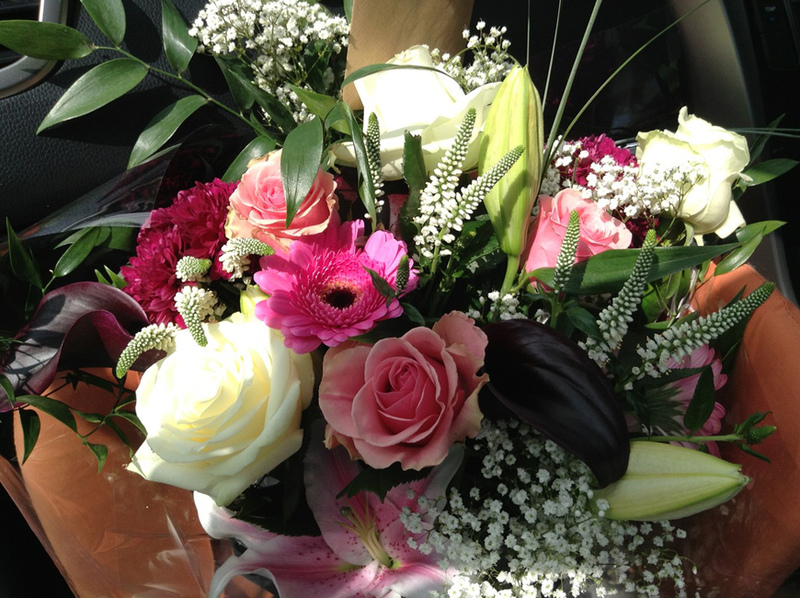 Or why not try a bouquet that predominantly consists of romantic Roses? 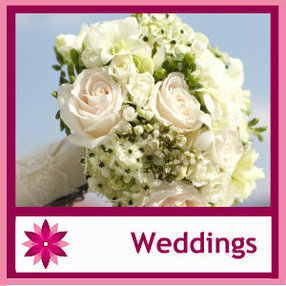 For many years this flower has been associated with love, making it perfect for floral wedding arrangements. Have your roses interspersed with smaller flowers in a complementary colour to give your decorations and bouquets a bit more detail. Jackie understands how to expertly incorporate non-floral elements in her decorations. 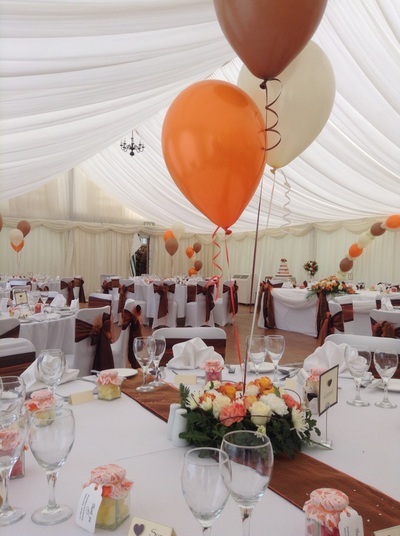 For a fun table centrepiece, balloons in matching colours can flow out of a floral base. Give your bouquet a little extra sparkle with some tasteful diamantes subtly dotted throughout. Or introduce shining ribbon to make a floral thank-you gift even more luxurious. 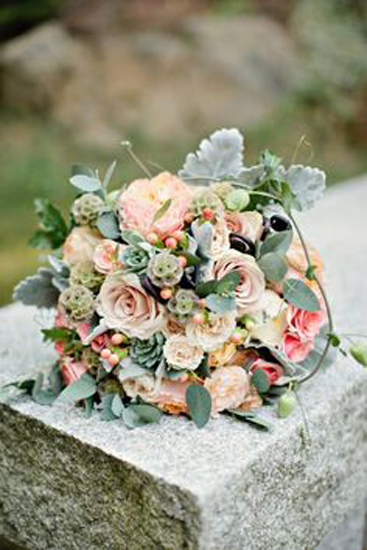 For a wedding bouquet that will last for years to come, Jackie recommends that brides opt for artificial flowers. This innovative florist can produce wedding bouquets, buttonholes, and more, from beautiful and lifelike artificial flowers. In addition to beautiful, fresh floral arrangements, Jackie offers several other elements of decoration to make your venue look beautiful. 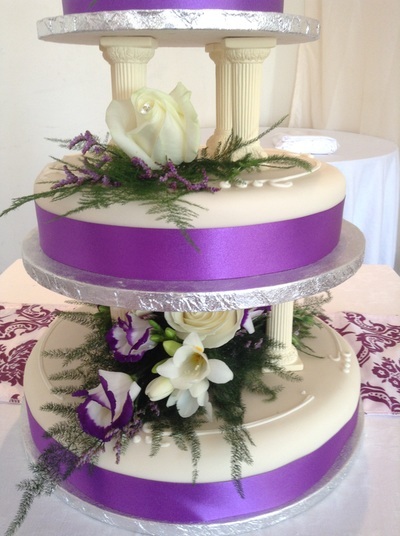 Colour matching is a great way to give your wedding décor the WOW factor. 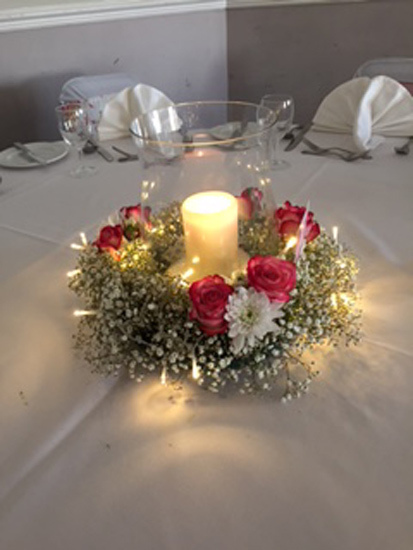 Jackie can supply chair covers and sashes matching the colours of your flowers, and candelabras are used alongside a centrepiece to create a regal and elegant look. Finally, everyone can toast the bride and groom with Jackie's beautiful glassware. For more information, please get in touch with Jessabel Flowers using the contact options below this page. We would both like to say how beautiful the flowers were. The pew ends were the best i have ever seen, all the girls loved the 'thank you' bouquets, table decs were gorgeous and the bride's and bridesmaid bouquets were just what we anticipated. We left the lovely display in the church which i am sure the congregation will appreciate. Jackie - I would like to thank you for the splendid arrangement. The choice of flowers you used gave the English country garden feel which I had wanted, and was so much like Barbara's garden. Many thanks. We would both like to say how beautiful the flowers were. The pew ends were the best I have ever seen, all the girls loved the 'thank you' bouquets, table decs were gorgeous and the bride's and bridesmaid bouquets were just what we anticipated. We left the lovely display in the church which I am sure the congregation will appreciate. Many thanks again Jackie and if you need any future recommendations please let me know and I will be happy to provide them. We just wanted to say thank you so much for our AMAZING wedding flowers. They were even more perfect than we imagined they would be. 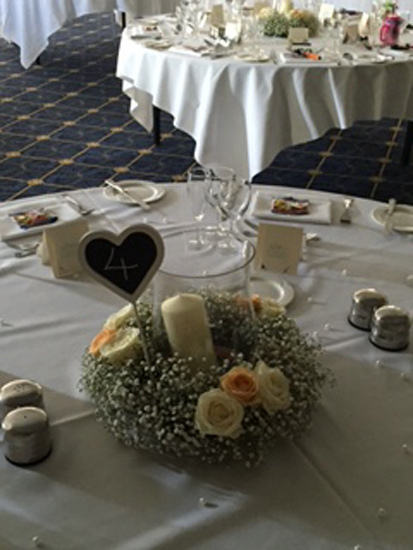 Golden Wedding Anniversary - the flowers that you arranged for our lunch were spectacular and completed the venue, your level of detail in taking our order and transforming it into flowers was amazing. The balloons that you also provided, perfectly complimented the arrangements. Thank you so much for being part of our day. Let others know what you think of Jessabel Flowers by giving a star rating and a small review.